Steve Jobs is a master showman. Only he could announce what amounts to a major delay in product development and turn it into a public relations coup. Remember: According to Jobs's Macworld Expo keynote address of a year ago, Mac OS X was supposed to ship in January 2000, not simply be announced for the third time. After two and a half years of watching Apple's iCEO at work, I've learned it's best to always watch what Steve's other hand is doing. Because, like any good magician, he will try to draw your eyes away from the hand that's really performing the trick. Take, for example, his announcement of new Apple.com features, especially iTools. Be assured that while Apple talks about the Internet, what it's really talking about is the Mac OS itself. Because iTools isn't meant to work without Mac OS 9. That means no other operating system can take advantage of these capabilitiesthey're new Web-based features of the Mac OS, not new Internet services offered by Apple. There's a difference. Make no mistake: Apple is in the business of selling computers. That's how the company makes money. 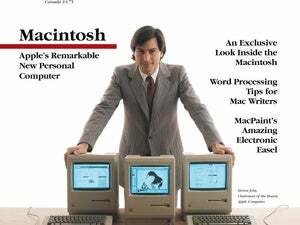 Everything Apple does is designed to enhance the possibility that you will buy a new Macintosh, rather than continue to make due with your old Mac or, worse yet, buy a PC. What will make you buy a new Mac? For one thing, new capabilities. And for the uninitiated, those new capabilities need to be packaged in such a way that they at least seem like something Windows can't do. As Jobs himself said in the keynote, Apple is the only company left that controls both hardware and software. Managed properly, this can be an incredible competitive advantage. Just take a look at today's elegant Mac design. It's not just about the pretty colors, but about how integrated everything is. Apple controls both the horizontal and the verticalof that there's no doubt. The one thing the company doesn't control is the connection. To date, the Internet has escaped Apple's grasp. It's made some good tools; it's even managed to build Sherlock, an application it pitches as an Internet feature. Enter EarthLink. Placing a $200 million stake in EarthLink is but the first step in assuring that Apple controls the on-ramp. The next logical step? Offer everyone a free EarthLink account (for some period of time, from one month to one year) when they buy a new Mac. After that, Apple will probably work to make EarthLink a one-stop shop for high-bandwidth Internet access, be it DSL, cable, or both. Then Apple can assure that even people who already have an Internet provider will switch to Apple's preferred brand. What could be easier about installing an iMac? If every iMac comes with an active EarthLink account, all you'll need to do is press a button to connect to the Net. No credit cards to enter, no setup required. Once you've ensured that new Macintosh users' first stops are EarthLink and Apple.com, what's the glue that'll keep them there? Well, it sure isn't iCards. Apple's greeting-card creators may have a better aesthetic sense (or better stock art) than is exhibited at eGreetings.com, but that's hardly what I'd call a killer feature. Instead, I'd call iCards a not-so-veiled attempt to capture e-mail addresses. The same can be said for Apple's free e-mail system, hosted at mac.com. No, it'll be features like iDisk that'll make Apple.com sticky. iDisk isn't a new Internet feature so much as it's an addition to the Mac OS. With iDisk, Apple is essentially giving away 20MB of network storage with every copy of Mac OS 9. Now imagine what might be possible if other collaborative applications were added to the Mac OS via Apple.com: interactive games; multimedia chat; teleconferencing; and even more traditional applications such as word processors, spreadsheets, and presentation programs. iMac users, many of whom seldom buy software, would get cheap access to all kinds of power they'd normally never experience. But waitwouldn't that mean Apple would control the world of Mac software distribution (and perhaps software creation), as well as Internet access, e-mail, and even long-term data storage? That's an infrastructure that could enabledare I even say it?Mac-based Internet terminals and set-top boxes. Don't agree with my theories? Well, send me an iCard. Meanwhile, I'll be practicing Steve Jobs's favorite card trick. You know: the one where he ends up holding all the aces.